First In First Out and Last in First Out are the two most common inventory management concepts that are used in the modern world. These two models are different from each other but both concepts are specifications of inventory management methodologies. Here we shall discuss what is meant by each and what types of businesses can use these formats for their business operations and needs. The FIFO inventory system uses the same strategy as it is called. First in items are usually the first to come out of any storage. For example, milk is stored according to their expiration dates in the fridge. The milk cartons that bear expiry dates that are close would be stored in the front so that those get sold first. The main aim of this concept of inventory management ensures that the oldest stock is moved out first to guarantee cost-effectiveness and avoid wastage. The widespread use of this concept makes it ideal for many industries who use it along with other models of stock management. With businesses around the world feeling ramifications of digression, this type of stock management technique offers significant benefits with inventory costs fluctuations. The cost approximates of the current market value of inventory available in the warehouse is easily revealed as the end result of stock-taking procedures. The flow of costs agree with the actual flow of physical products or goods. Due to its applicable ease and implementation, businesses do not choose which unit is to be delivered, as inventory management is automated. For urgent basis orders, it helps contain and arrest shipping issues. Using caution when applying the FIFO method for all business endeavors is strongly recommended. At the end of the day, the results of stock and the image created about costs could not be genuine or authentic. Due to economic instability, the rates and costs are affected. FIFO is implemented while paying considerable attention towards details as this method may exaggerate situations to depict profit making patterns of growth. This appearance of “growth” is the disadvantage of FIFO inventory management as taxes are applied to this “profit” which heavily burden a business, thus, diminishing growth and stability. Also, it takes accountants months before they notice discrepancies in statements if care is not taken with the rising and falling of rates and costs. With increased prices that show up in accounts months later, FIFO can be disadvantageous. Last In First Out is also used commonly where the last items sent to stock are the first ones to come out. An example would be machinery manufacturing where stocks already prepared and stored are shipped out first rather than newly manufactured fresh out of the rolling mill. 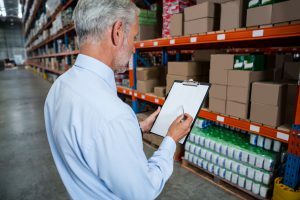 It is widely used for non-perishable goods and this concept of inventory management includes other benefits such as periodical Cost of Goods Sold (COGS) and an appraisal of inventory. With huge tax advantages, LIFO is great for companies in the manufacturing industry. Using LIFO, it’s presumed that all goods that are sold are what’s laying in the inventory, whereas, it isn’t always. It also helps tackle inflation predicaments as costs of goods may change heavily if prices of raw material increase. It also offers a lower balance shown as leftover inventory. With lower tax liability due to a lower rate of income, this type of inventory management is effective in growth. LIFO is ideal for rolling stocks manufacturers, oil and gas sectors, power generation and the transportation industry. Due to the challenges in maintenance, LIFO is a bit more technical as older inventory can sometimes never be sold or shipped out. This bears encumbrances as accounts can derive loss of money, thus, it slows down growth. The way LIFO runs inventory, it needs more complex records and advanced accounting practices so that even unsold items in the stock are included for support in the accounting of this system with this inventory management concept. Grocery stores and restaurants cannot use this concept as it results in the rotting of most of the items which have later expiry dates. Shelved artifacts which are not sold are costly. Also, globally expanding businesses and companies cannot use LIFO due to the difference in accounting standards, which do not follow the LIFO methods. In the US, efforts have been undertaken to repeal the LIFO standards but, with recent trends, only further restrictions are seen. https://www.completecontroller.com/wp-content/uploads/cclogo_main-long-300x63.png 0 0 Complete Controller https://www.completecontroller.com/wp-content/uploads/cclogo_main-long-300x63.png Complete Controller2018-12-17 18:08:582018-12-18 08:15:00FIFO vs. LIFO: What is the Specification in Inventory Management?